Double Insight recalls Gem 65 8-in-1 multicookers due to amanufacturer defect can cause the multicooker to overheat and melt on the underside, posing a fire hazard. This recall involves Gem 65 8-in-1 model multicookers, a multifunctional, programmable cooking appliance, which includes the functions of roasting, baking, stewing, slow cooking, rice cooking, searing/sautéing, steaming and food warming. Instant Pot is printed on the front of the multicookers. Gem 65 8-in-1 and a batchcode of 1728, 1730, 1731, 1734 or 1746 are printed on the rating label on the underside of the product. Consumers should immediately stop using the recalled multicookers, unplug the unit and return it to Walmart to receive a free replacement. Consumers can contact Double Insight toll-free at 888-891-1473 from 8:30 a.m. to 10 p.m. ET Monday through Friday and from 10 a.m. to 6 p.m. 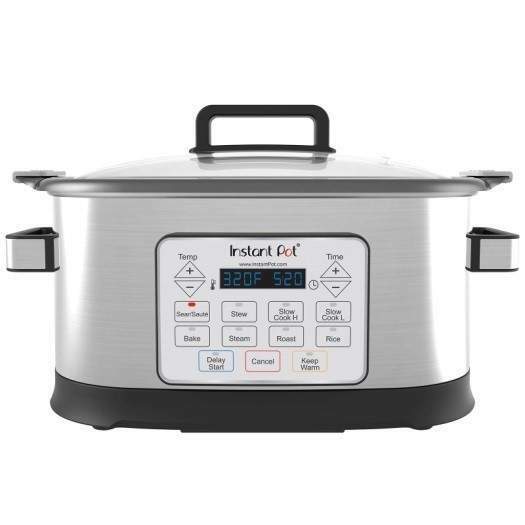 ET Saturday and Sunday or online at www.instantpot.com and click on "Product Recall" or visit www.gemmulticooker.com for more information. Double Insight has received 107 reports of overheating, five resulting in minor property damage. No injuries have been reported. The multicookers were sold exclusively at: Walmart stores nationwide and online at www.walmart.com from August 2017 through January 2018 for about $80.